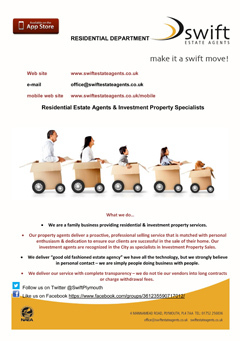 Swift Estate Agents is a registered data controller. Please note that we may change this page from time to time as our business changes. You should therefore periodically check this page to ensure you are happy with the way we view your personal information. This document covers the following points regarding the privacy of your data. When we are required by law or business need, we will use third party checks to verify identity, criminal checks or credit references. Please note these third parties will only be used with your permission. Swift Estate Agents will only process your personal data under one of the six legal grounds stated under the GDPR regulations, namely: contract, legal obligation, vital interests, public interest, legitimate interests and consent. Any information gathered is only shared with organisations relating to your personal transaction. IE Solicitor and Financial Advisors. 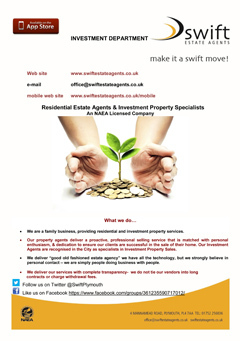 The information we gather is only used to assist in your Sale or Purchase of a property.